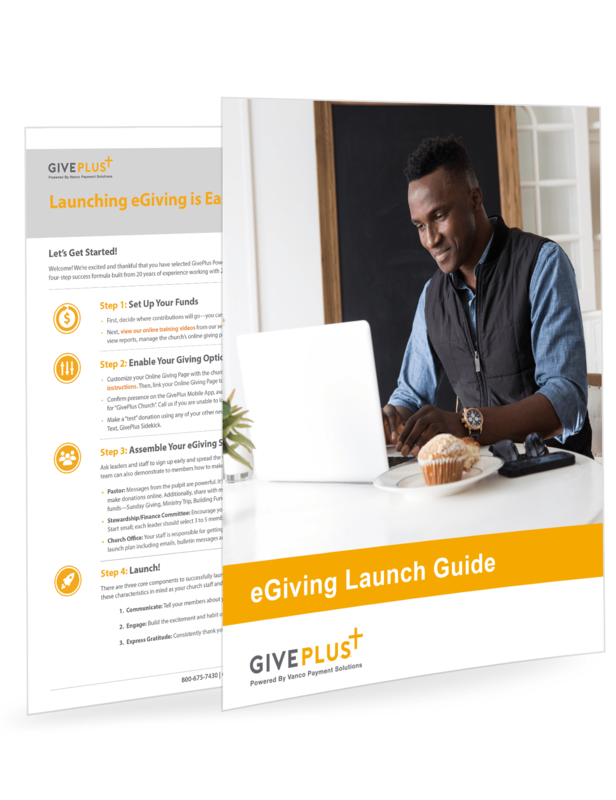 Explore our continually expanding library of case studies, eBooks, articles, guides, timelines and presentations to help you make an informed decision about selecting and launching an eGiving program. Having a communications timeline will help speed eGiving adoption. 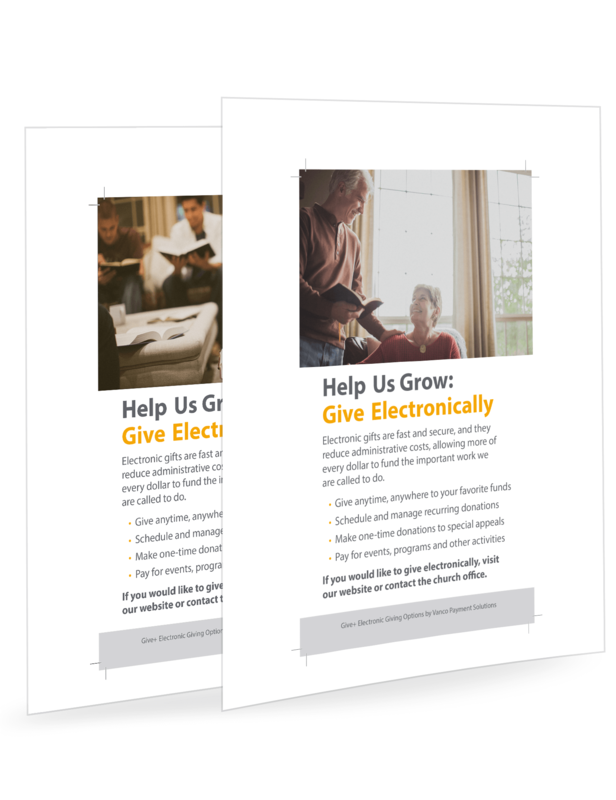 Our guide will help you keep your staff working together and your members informed about their available giving options. 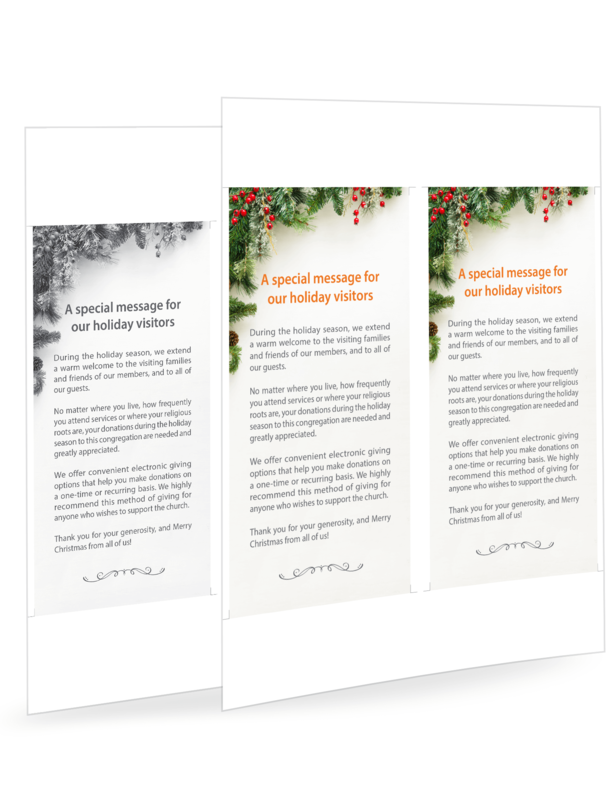 Place these messages about holiday generosity in your weekly bulletin or email, or add them to your Facebook page and let your congregation know how much their gifts mean to your church. 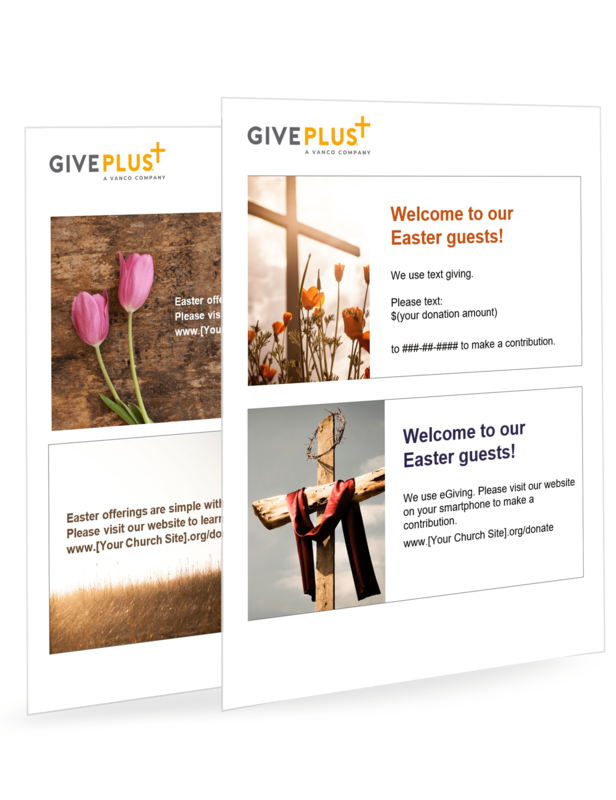 Use these to communicate how eGiving options make it easy for both members and guests to express their generosity during the Easter holiday. These half-page (4¼” x 8½”) inserts are perfect for placing inside your church bulletin or on an information table. Include these flyers in your bulletin or place them on a bulletin board at your church. 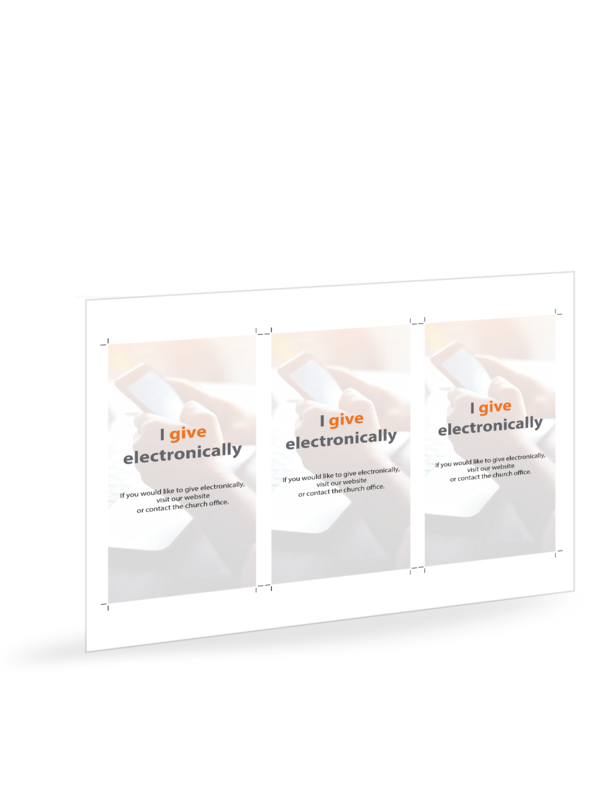 Offer electronic givers a visible way to participate in the weekly collection by printing these pew size “I give electronically” cards. 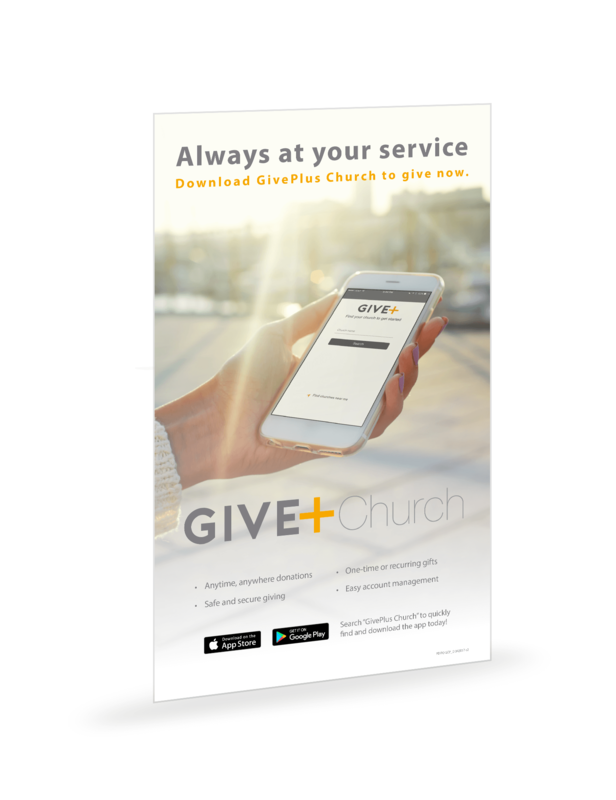 Help spread the word about GivePlus Church by printing and hanging up these posters in different locations throughout your church. 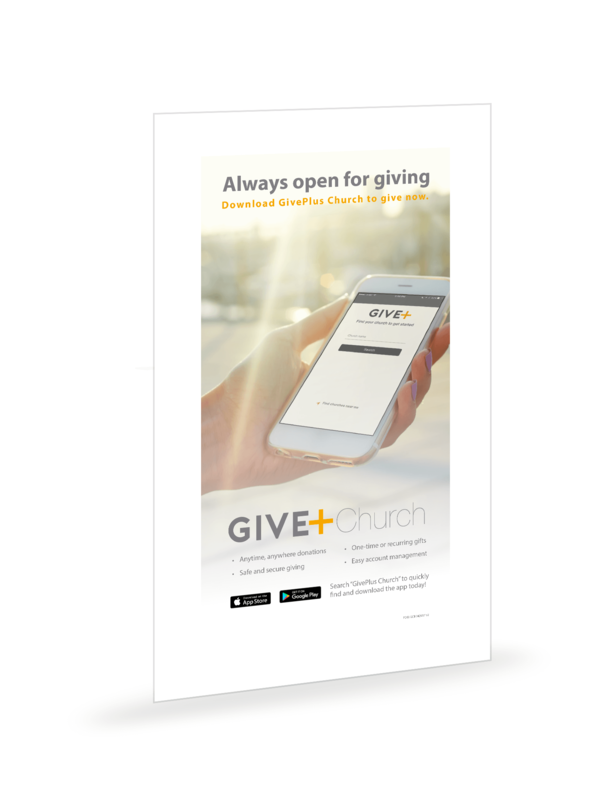 Print out and place this insert into your bulletin to let your members and visitors know about GivePlus Church during services. 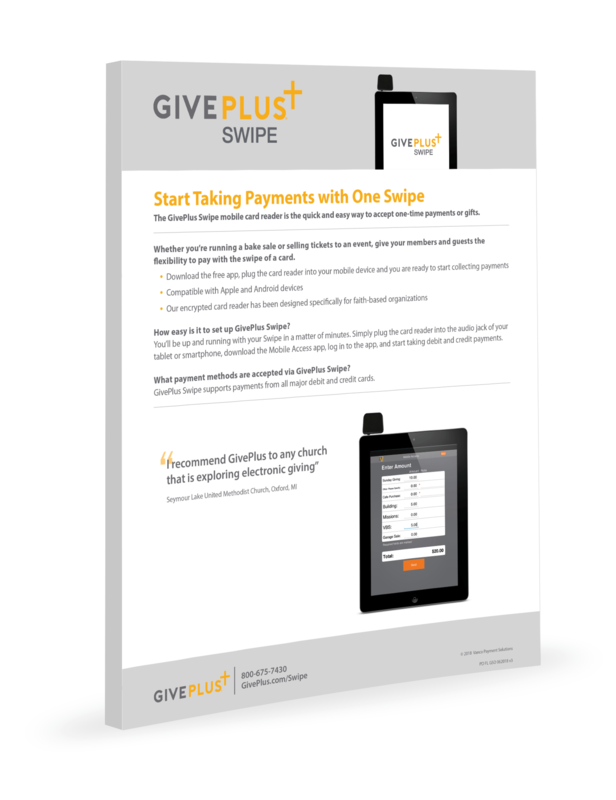 Use this resource to help members and guests with questions they may have on how to use the GivePlus app. 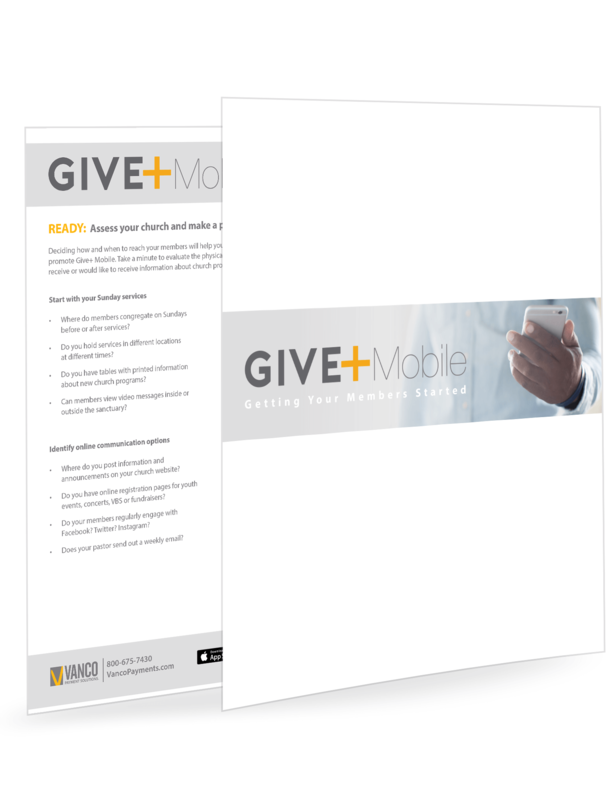 These tips and resources will help ensure that you and your donors get the most out GivePlus Mobile. 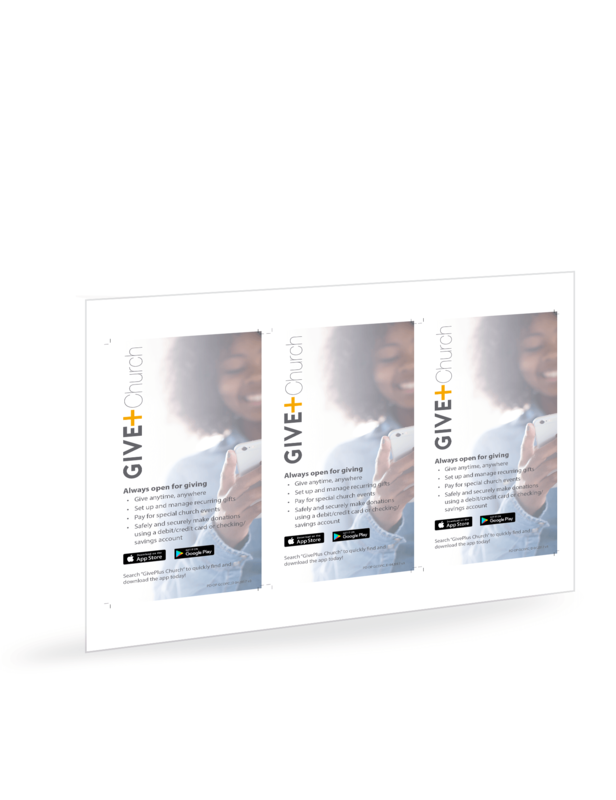 Let them know about your new giving app and how much you support electronic giving. 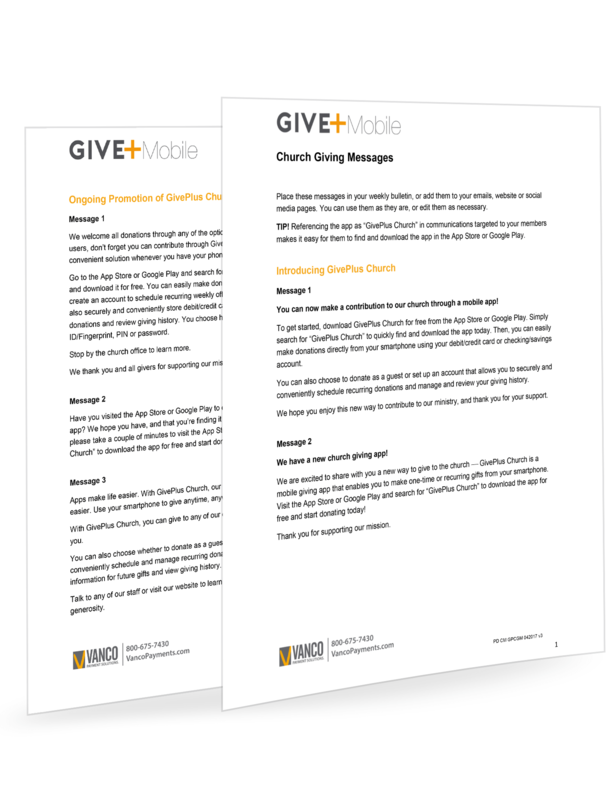 Place these messages in your weekly bulletin or email, or add them to your social media pages to introduce and promote GivePlus Church. 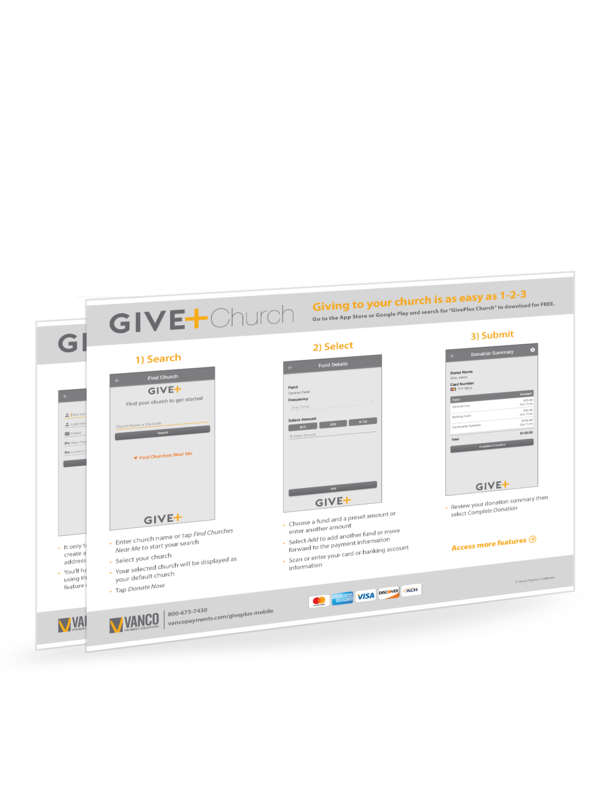 Giving to your church is as easy as 1-2-3. 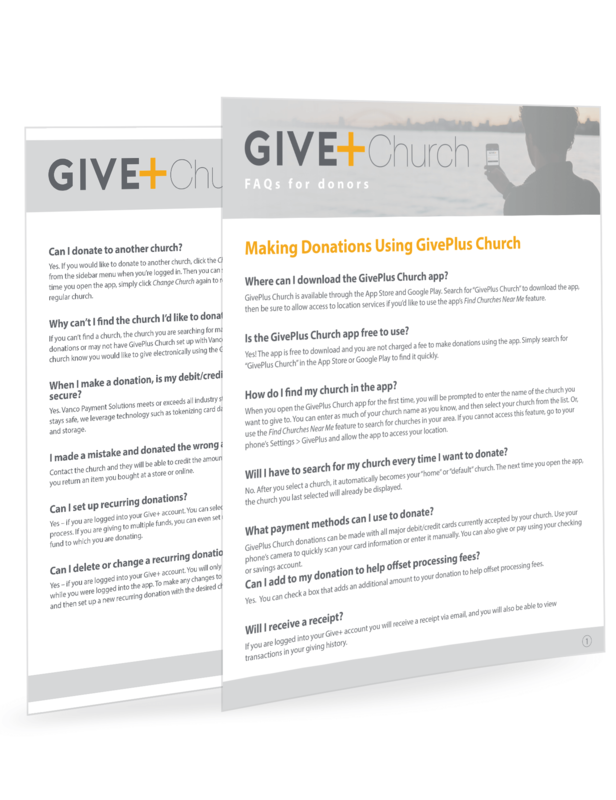 Use this guide to show your members how to find your church, make a donation and manage an account all through the GivePlus app. 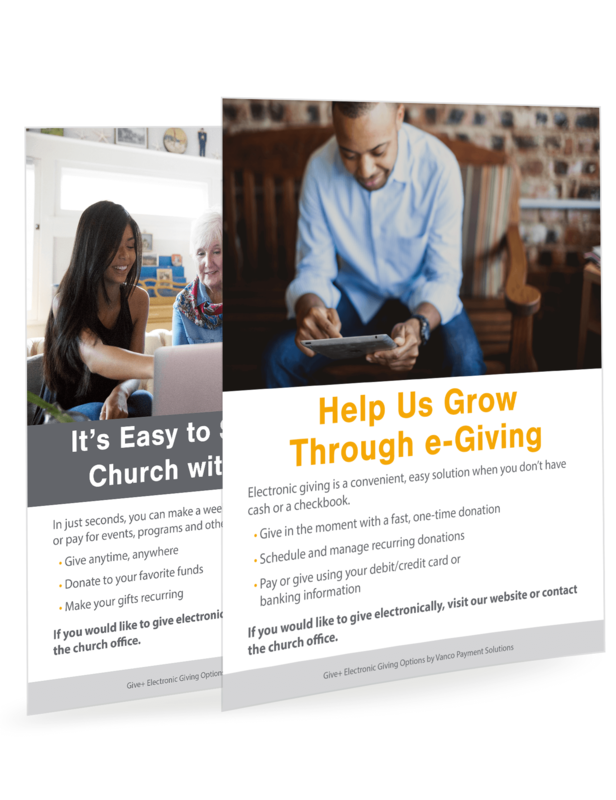 Place these offering plate cards in the pews or pass them out at events to remind members of the option to contribute via your new church giving app. 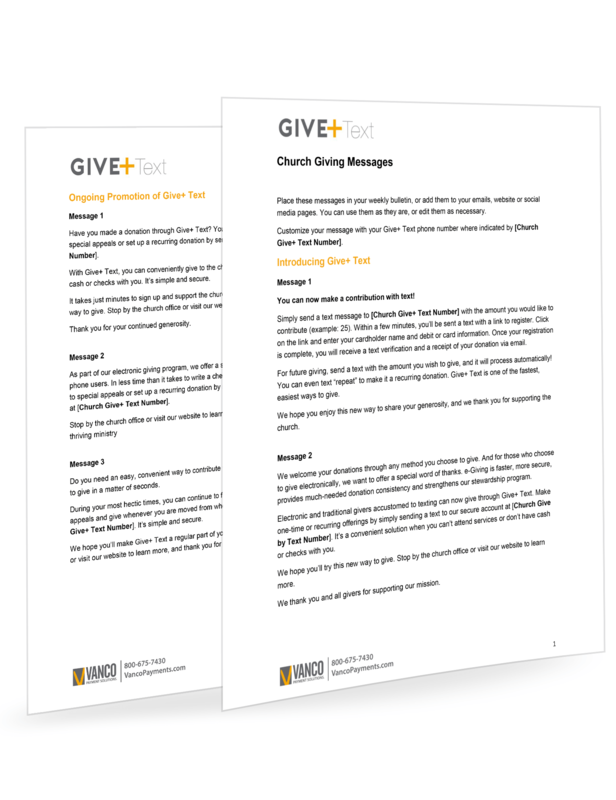 Use these editable flyers to promote GivePlus Text. Add your text number to the flyers, then use them in your bulletin or on a church bulletin board. 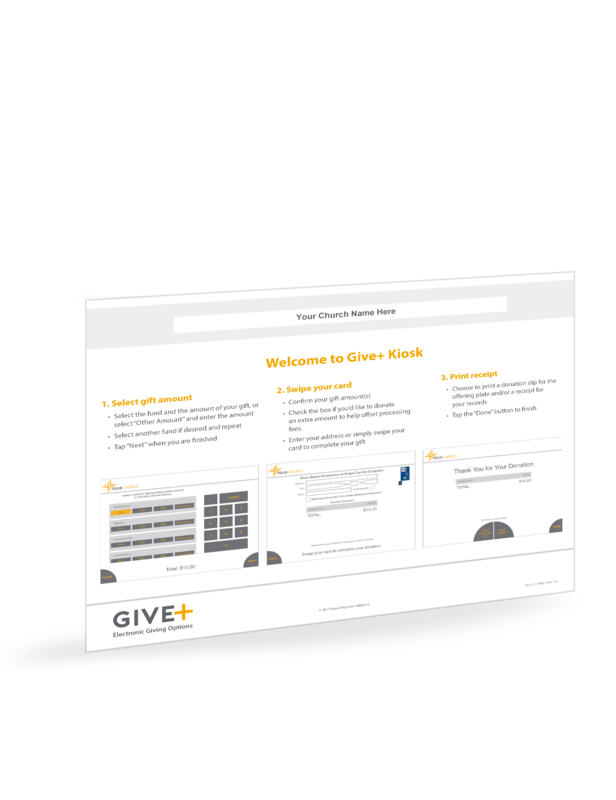 Use these inserts to promote GivePlus Kiosk. Include them in your bulletin or post them on your church bulletin board. 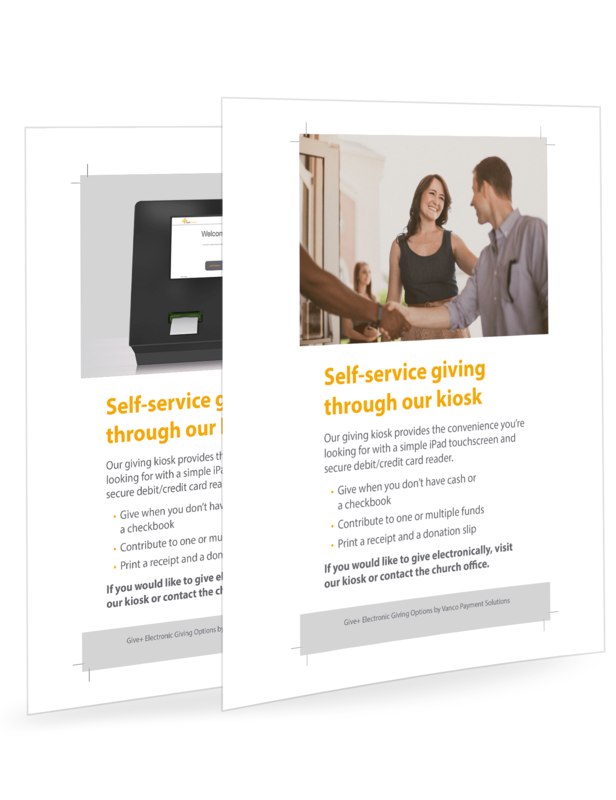 Use these flyers to promote GivePlus Kiosk by including them in your bulletin or posting them on a bulletin board at your church. 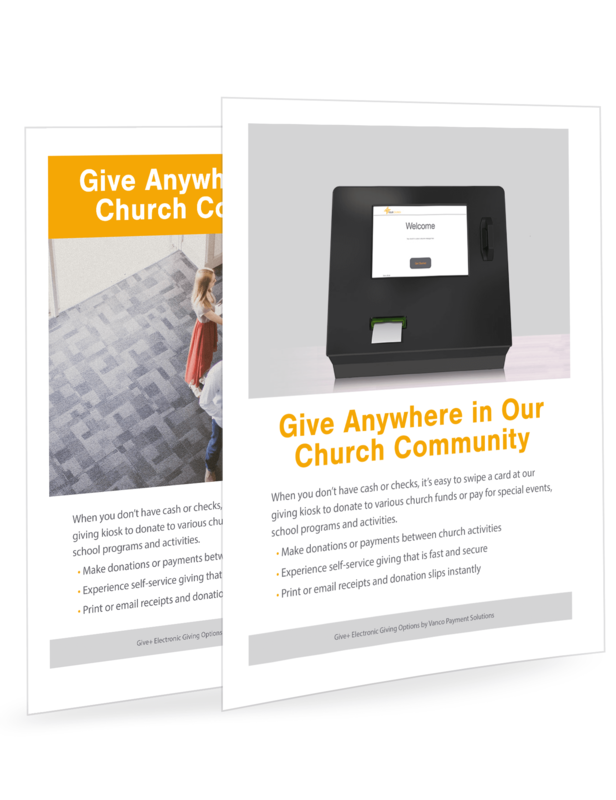 without leaving your church website. 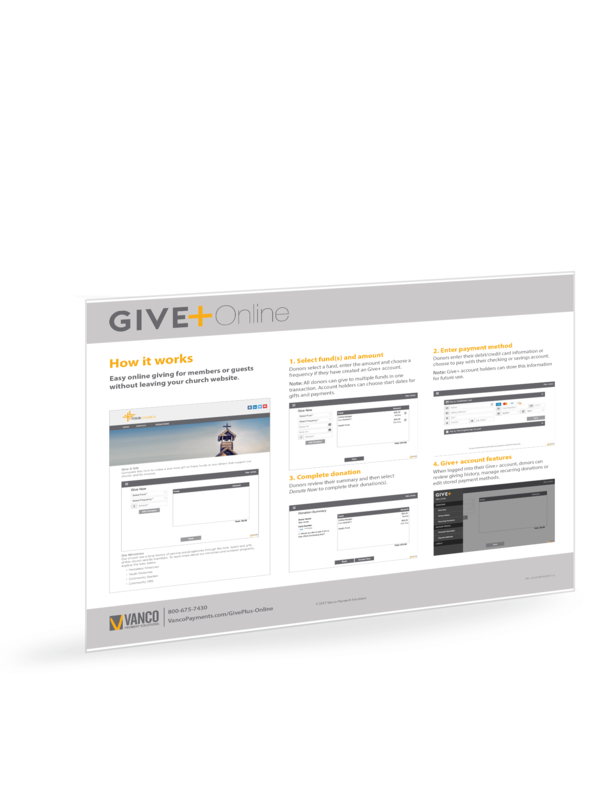 Use this 4-step guide to show them how to make a donation and manage an account all through the and embedded online giving form. 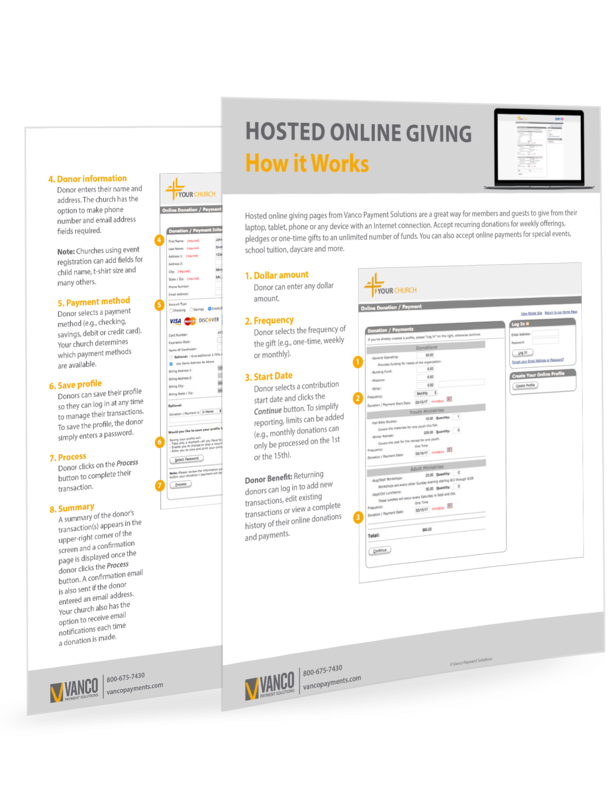 Hosted online giving pages from Vanco are a great way for members and guests to give from any device with an Internet connection. 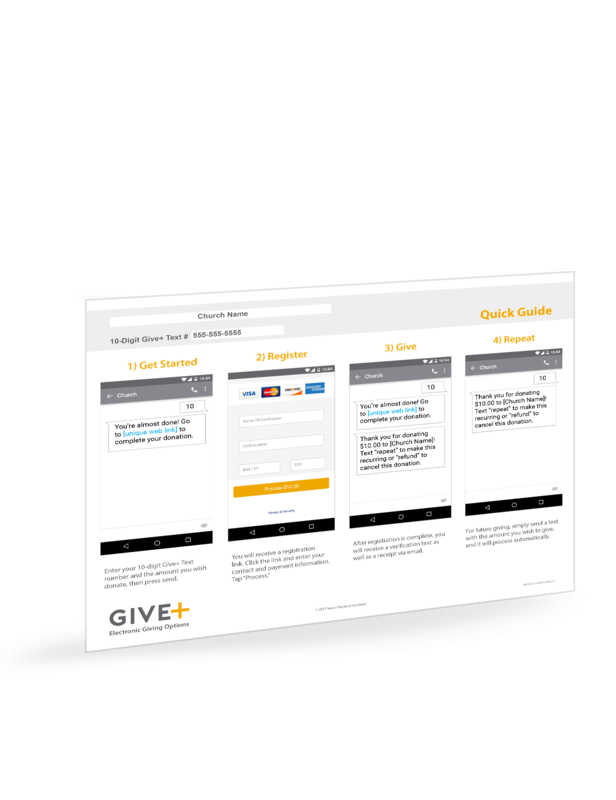 This guide shows them step-by-step how to make an online donation. 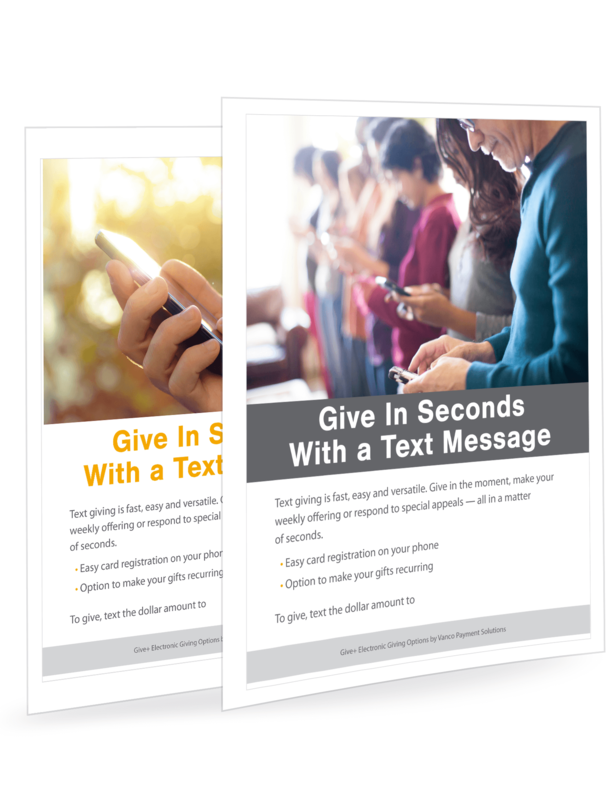 Use these to communicate that text giving is the fastest way to make weekly offerings or respond to urgent financial needs and emergency requests. 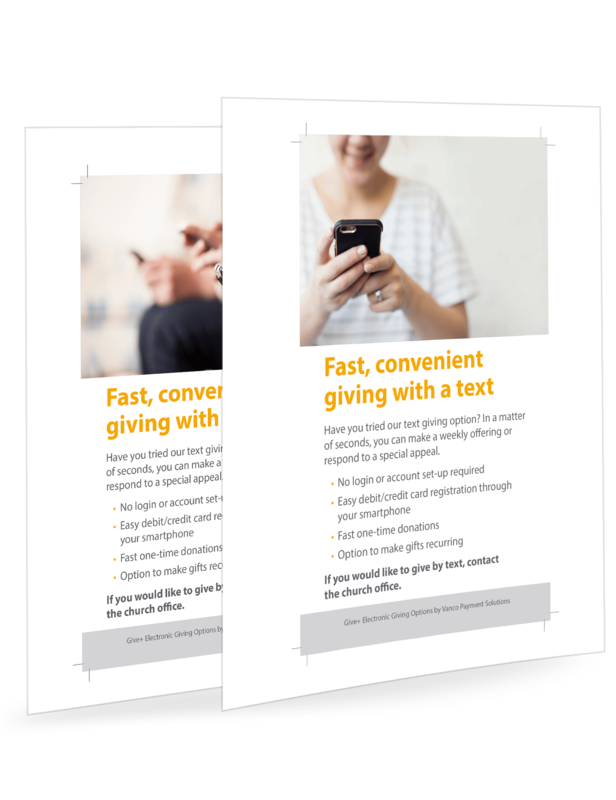 Use this customizable how-to-guide to show members how easy it is to give by text. Simply add your text number and church name to the flyer. Use this customizable guide to show members and guests how easy it is to give through a kiosk with three simple steps. And, you can add your church name to the flyer. Learn how you can quickly and easily accept secure, one-time gifts and payments anytime, anywhere with a mobile card reader.